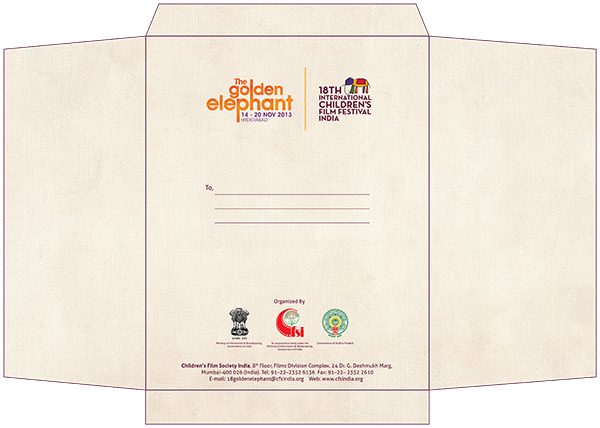 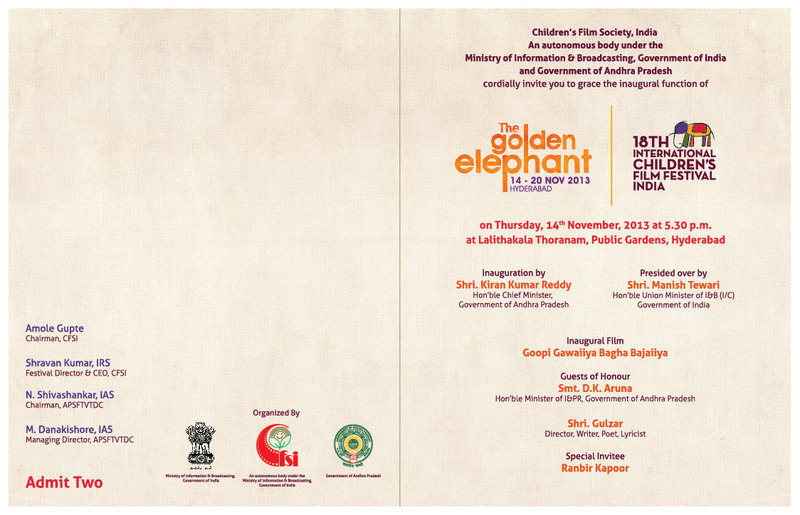 CFSI is organizing its 19th edition of the ‘Golden Elephant’ – 19th International Children’s Film Festival India in November from 14th -20th, 2015 at Hyderabad. 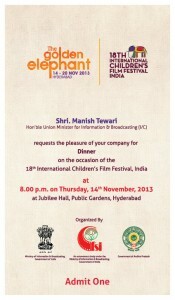 In this connection, we intend to invitation & dinner card for opening on 14 Nov 2015 for the 19th ICFFI 2015. The sample invitation of the 18th ICFFI is enclosed. 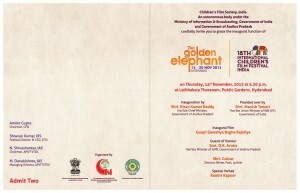 On or before 7th November, 2015.